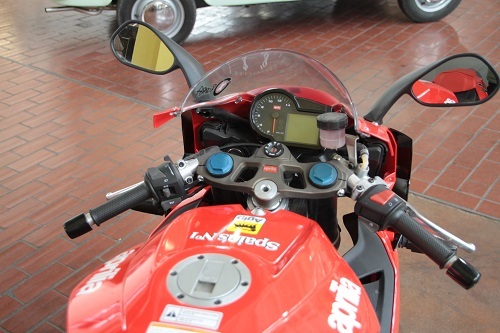 Aprilia started as a bicycle manufacturer after World War II, and began producing mopeds in 1968. They are perhaps best known for their successes in the MotoGP (Motorcycle Grand Prix) racing series. 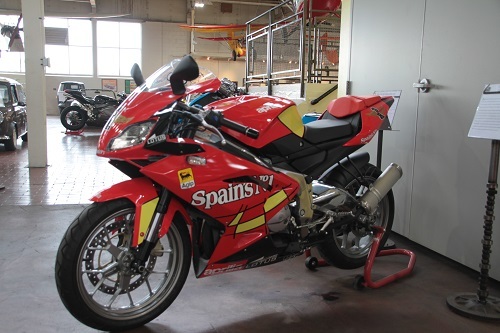 This RS125 is a special edition painted in the livery of the Grand Prix 250cc bike that won the World Championship in 2007, ridden by Spanish racer Jorge Lorenzo. The RS125 is powered by a water-cooled Rotax single-cylinder engine. This road-going version benefits from the technical and engineering solutions used in the racing world. The fairing has been wind tunnel-designed for optimum aerodynamics, and the bike was given the overall look of the larger RSV1000R. The engine is powerful for its size, and its cross-ribbed, reinforced, cast aluminum alloy frame provides extreme torsional rigidity. 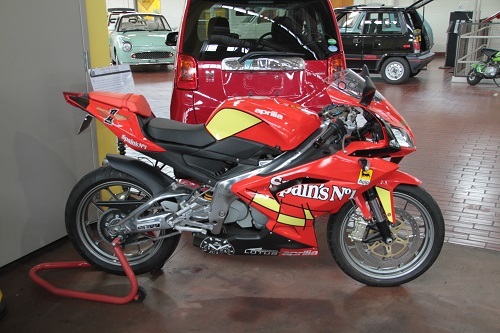 At 128kg (282lbs) the RS125 is also very lightweight. The race-spec inverted front forks and rear monoshock mean the RS125 is fully adjustable to suit the rider and road surface. The RS125 was never street-legal in the US due to EPA emission regulations. It was sold here for off-road and track use only.